On September 3, 2015, I published the following on Book Riot. The upcoming exhibition Egypt after the Pharaohs at the British Museum in London, England, doesn’t open until October 29, but it has already been the cause of headlines.The exhibition chronicles the presence of Judaism, Christianity, and Islam in Egypt over a period of 1,200 years. The headlines were caused by a rare book that the British Museum will have on loan from the British Library and which will be included in the exhibition. 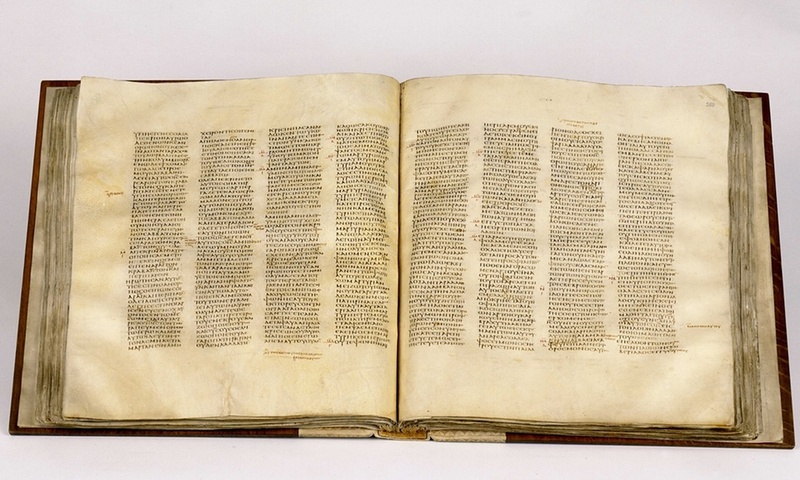 The book in question is Codex Sinaiticus, often referred to as the oldest Bible in the world. Here are nine things you should know about Codex Sinaiticus. This entry was posted in History, Writing & Reading and tagged Bible, British Library, British Museum, Christianity, Codex Sinaiticus, Egypt, Islam, Judaism by Erika Harlitz-Kern. Bookmark the permalink.